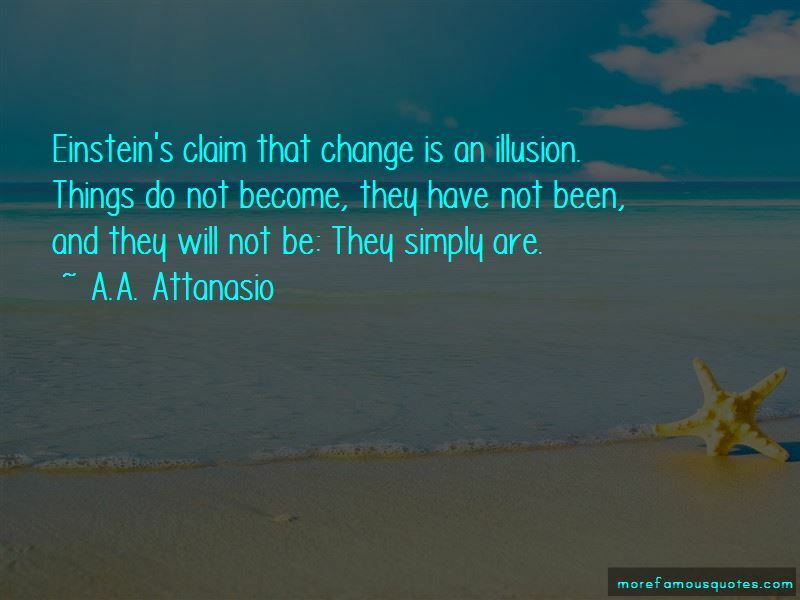 Enjoy the top 14 famous quotes, sayings and quotations by A.A. Attanasio. I dream of a true husband-a good man, not a brute, nor a champion of men on the battlefield; I dream but of a gentle man, one who neither speaks too loud nor ignores evil. I pray for such a like-minded mate, who will be ever for me like harmony to music, virtue to the soul, prosperity to the state, and forethought to the universe. “The surgeon tells me that you're a sorcerer," Pym said. "Is that so?" Jaki looked to the captain with the glare of the masts in his eyes. "Yes." Pym weighed this disclosure. "You speak with the dead?" The captain's eyes screwed up intently. "What do they say to you?" Pym and Mister Blackheart laughed in unison ... The captain said, "Mister Blackheart wants to know what kind of sorcerer you are." Jaki pondered a response and finally said, "I was learning to catch souls before my teacher was killed." "Souls, eh? And what do you do with them after you catch them?" "I put them back in their bodies." 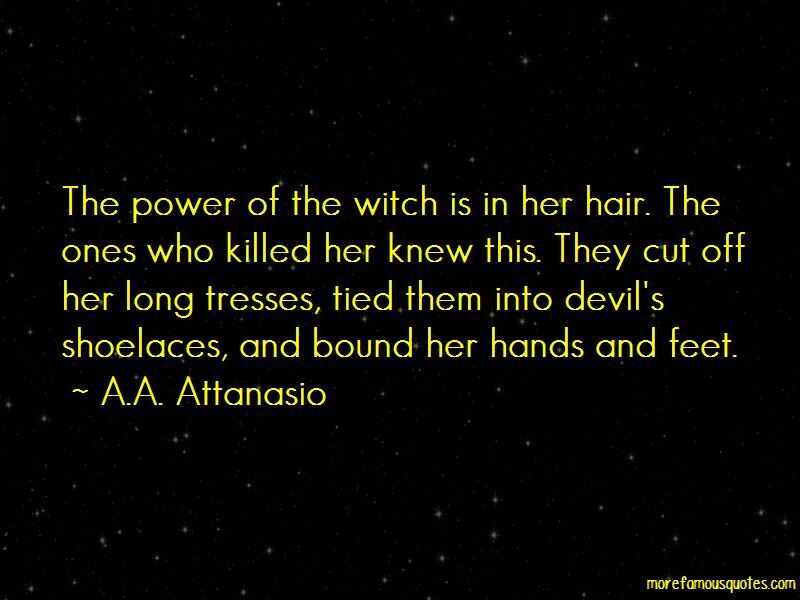 The power of the witch is in her hair. The ones who killed her knew this. They cut off her long tresses, tied them into devil's shoelaces, and bound her hands and feet. 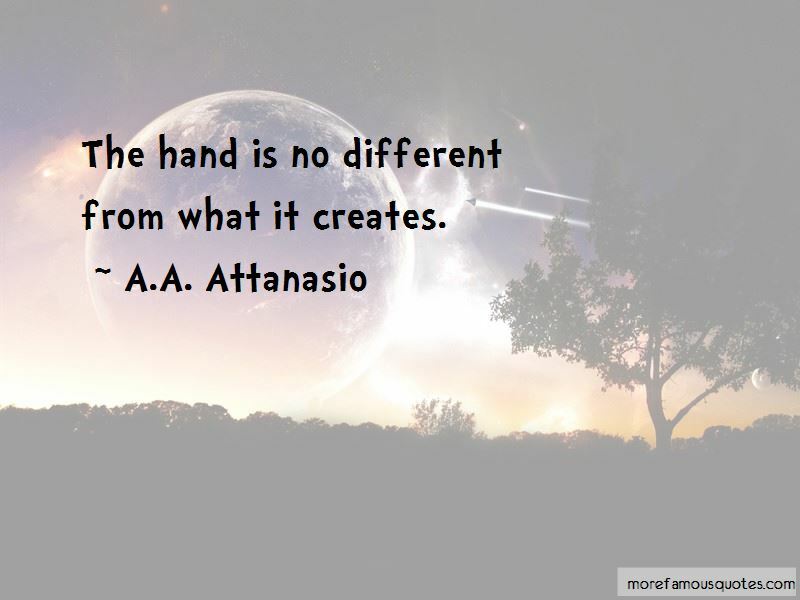 Want to see more pictures of A.A. Attanasio quotes? 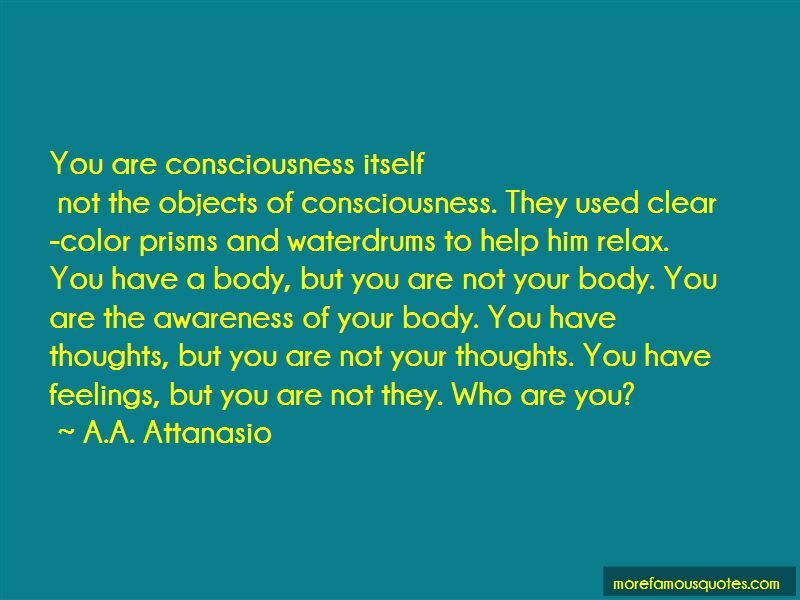 Click on image of A.A. Attanasio quotes to view full size.